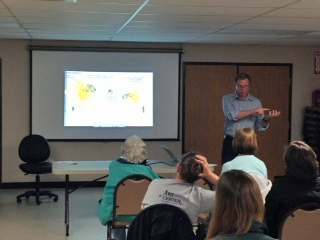 Last month, Kayla and I attended a meeting of the Coastal Bend Audubon Society, and I led a discussion about bees. The Audubon Society graciously welcomed me and Kayla, and even baby Emma, who was exactly a month old. They are such a wonderful and interesting group, I wanted to share information about their next meeting, this Tuesday, March 4, at 7:00pm, at the Botanical Gardens of South Texas. At this meeting, Cord Eversol, of Texas A&M–Kingsville, will be talking about alligators. All are welcome for this presentation, stop by if you are able. During our presentation, one of the topics we discussed was the Africanization of bees. In the 1980’s, an African bee colony was surreptitiously introduced to South America, and these hearty bees began to replace the European colonies of bees going north all the way to Texas, and now throughout the United States. It is possible that the honeybee population of North America will eventually become Africanized. The honey-bee is not a native of our continent. Marcgrave indeed mentions a species of honey-bee in Brasil. But this has no sting, and is therefore different from the one we have, which resembles perfectly that of Europe. The Indians concur with us in the tradition that it was brought from Europe; but when, and by whom, we know not. [Jefferson was not familiar with the cargo manifest of the Mayflower, because those notes were still kept in England, and England and America were at war at the time of his writing.] The bees have extended themselves into the country, a little in advance of the white settlers. The Indians therefore call them the white man’s fly, and consider their approach as indicating the approach of the settlement of the whites. 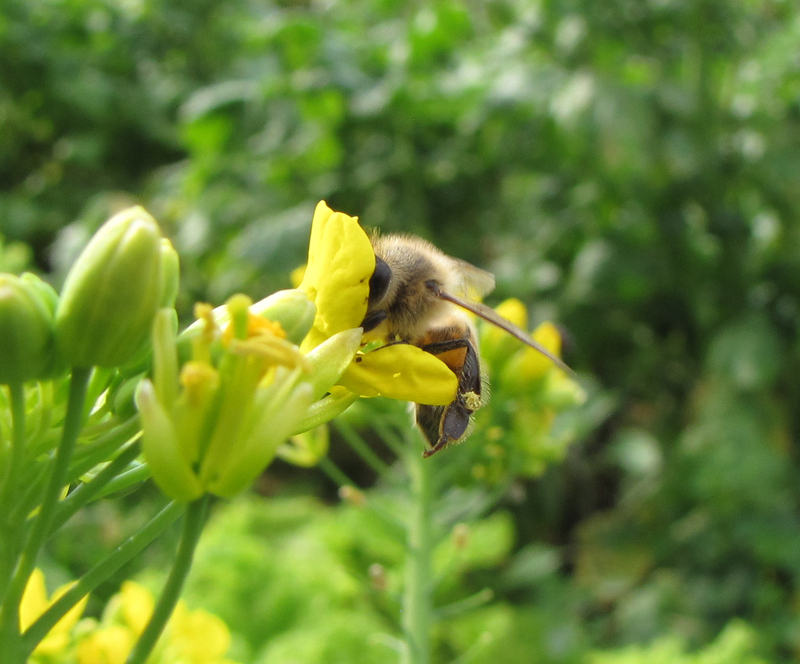 In modern times, bees are the chief pollinators of plants. Before European settlement, 0ther pollinators must have performed the mighty work of perpetuating plant life in America. If anyone knows which were the chief pollinators before the arrival of Europeans, I would love any details you can share. At the Audubon Society meeting, I had the privilidge of meeting Phyllis Yochem, “The Bird Lady of Corpus Christi”. Phyllis writes a birding column in the Corpus Christi Caller-Times, and she is the longest-running birding reporter still working in Texas. It is worth going to an Audubon Society meeting just to meet this wonderful person. It was such a pleasure visiting with her and discovering her passion for birds and the wildlife of South Texas. 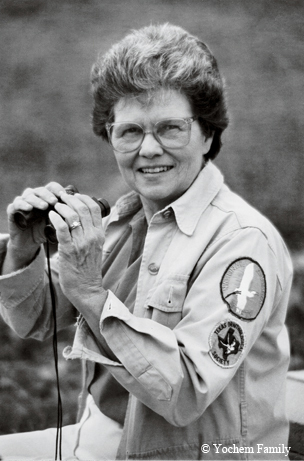 You can read Phyllis’ column at Corpus Christi Caller-Times, and there is a good article about Phyllis in the Texas Parks and Wildlife Magazine. Interesting! Especially that there were no honeybees on this continent before the settlers. We take them so for granted, thinking they have always been here. I wonder how plants were pollinated? Hello Agi! Are you guys getting anything like spring up there yet? It has been legitimately cold down here in South Texas this winter. I can hardly imagine what this “polar vortex” is doing to you guys! Oh, my. Look what I missed while I was busy with other things and not tending to my blog-reading. Congratulations on the new babe! I suspect Emma’s keeping you even busier than the proverbial bee. The information about the bees is quite interesting, but I’m also happy to know about the “Bird Lady”. I’ve always wanted to go down to Corpus for the raptor migration. Perhaps this will be the year. Thank you so much! She is a sweet babe! Emma and the farm are keeping us very busy indeed! I am behind on all my indoor work, including my computer time, but am catching up fast! You could e-mail Phillis Yochem at the Caller-Times, and she will certainly reply. She is a joy to talk with. If you are interested in the raptor migration, you may also touch base with Karen Benson in Beeville. Karen writes a weekly column for the Beeville Picayune, and she wrote a book, which you can find on Kindle or in paperback by clicking on this link, called Brush Country Back Yard. In this wonderful book, Karen tells all about many different types of wildlife in our area from a master naturalist’s point of view. Karen tells about the raptor migration, exactly when it comes through, and where to go to watch it. Karen’s husband, Bob, is a master falcon hunter, and an expert in raptors, among many other things. Bob is a retired chemistry professor, is brilliant and interesting, and Karen and Bob together are a fascinating couple.